Röfix AG‘s portfolio comprises around 200 different building materials, e.g. masonry mortar, renderings, paints, coatings and unbonded screeds. To make sure that the correct quantity of these materials gets to the customer safely and on time, the manufacturer places a special emphasis on filling, palletising and packaging technology. 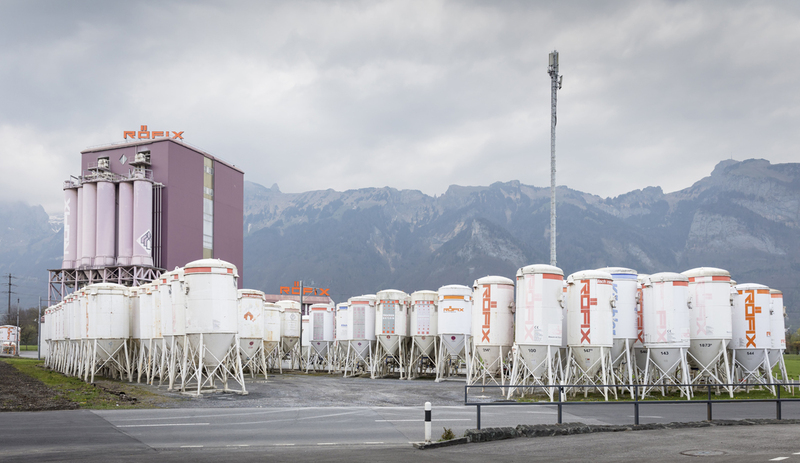 BEUMER Group provided an entire system to the site in Sennwald, Switzerland and integrated it into an existing building. The system can be flexibly adapted to the different materials, no retrofitting required. The individual system components are easy to maintain and operate reliably. This ensures high levels of availability and prevents downtimes. Picture 1: Overlooking the mountain panorama: Sennwald is home to one of Röfix’s five branches in Swizterland. 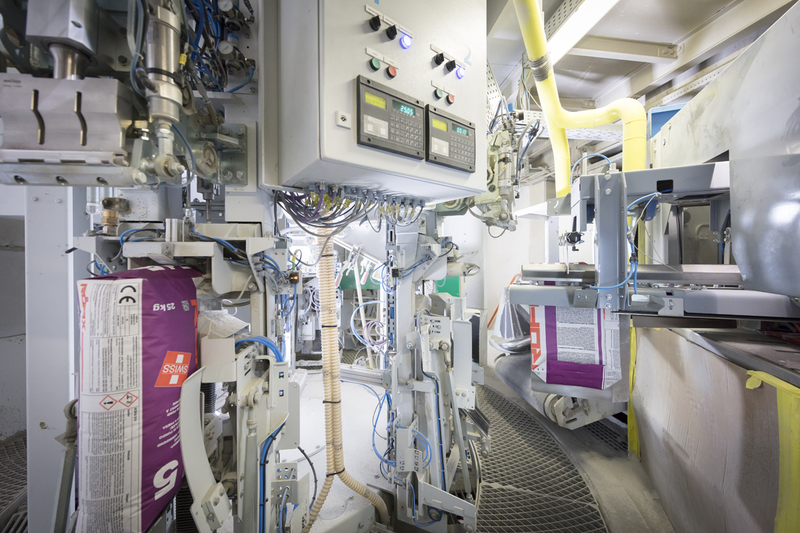 The manufacturer needed a flexible packaging line for different building materials. This can be a challenge. In order to remain competitive, not only the quality of the building materials is important, but “Manufacturers must also be reliable in getting their products to the customer on time,” Sennhauser emphasises. 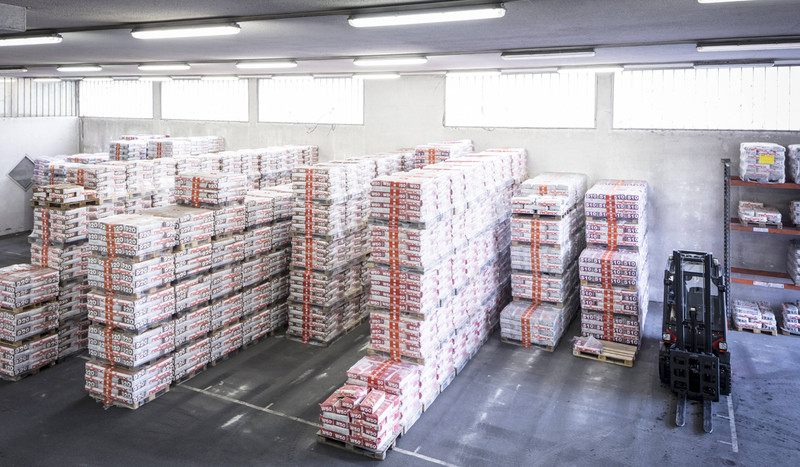 “One of the most decisive factors for customer satisfaction is staying on schedule.” To achieve this, the Suisse subsidiary needed an adaptable packaging line that could quickly bag, palletise and then package the finished stack with a stretch hood. 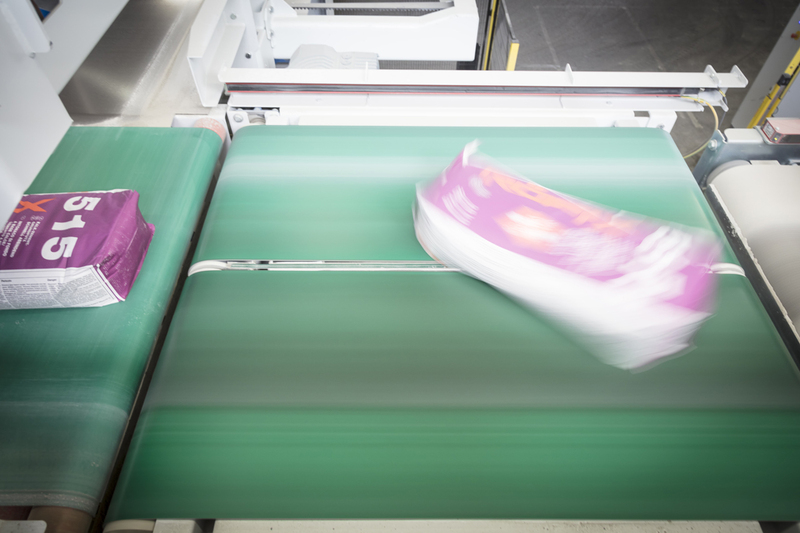 In the past it had repeatedly incurred downtime on individual machines and workers had to do extensive retrofitting on the line when products changed, which caused delays. Picture 2: BEUMER Group supplied the entire line from one single source. This includes the BEUMER fillpac R that fills material efficiently into the bags. A calibrated electronic weighing unit ensures exact degrees of filling. Röfix‘ experience has already been positive with solutions of BEUMER Group at some of their other plants. This is why those responsible turned towards BEUMER Group as a one-stop shop for filling, palletising and packaging technologies. 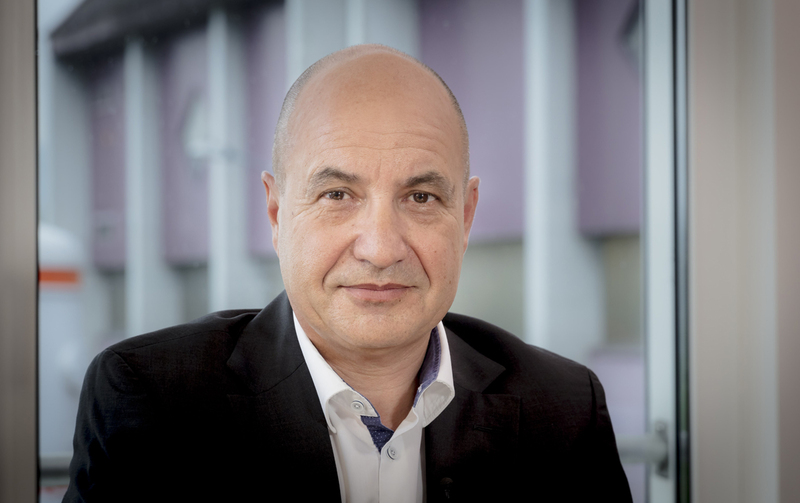 “Not only do our customers look for reliability, we expect the same from our suppliers,” says Welte. The key requirements for the packaging line, besides adaptability, were mainly economical operation, easy maintenance and extensive customer support. Both companies quickly agreed on the scope and schedule and the project was ready to begin. Picture 3: The BEUMER fillpac is equipped with a ream magazine…. Picture 4: … and the new BEUMER bag placer. This helps the operator to further increase performance. Due to the wide range of manufactured building materials, BEUMER Group installed a BEUMER fillpac R filling machine that operates according to the air filling principle. The bags are weighed during the filling process. The BEUMER fillpac is equipped with an electronic calibration-capable weighing unit. It ensures that the bags are always filled with the same amount of material. A special software enables filling spouts and scale to constantly compare weights. By using ultrasound to seal the bags, a very clean and efficient technology, the system can ensure optimal results. It also avoids the accumulation of material around the valve. Due to its modular design, the system can be easily integrated into existing lines. The added BEUMER bag placer and ream magazine make the filling system even more efficient. Servomotors automatically, precisely and energy-efficiently drive the application unit and the suction gripper. The gripping and placing system takes the bags from the stack and applies them safely on the filling spout. 1,200 bags per hour can be applied like this with high precision. 1,800 bags are possible by adding an extension. “The BEUMER bag placer can be easily adjusted to other bag formats by the user. This increases the system’s flexibility,” explains Denis Sielemann, Senior Sales Manager, Building Materials, at BEUMER Group. Picture 5: The bags are turned fast and gently in the required position by the twin-belt turning device and then palletised. The system component moves the bags without deforming them from a mechanical viewpoint. Two parallel belt conveyors are used instead. They turn the bags by moving at different speed. The intelligent control of the twin-belt turning device also takes the dimension and weight of the bags into consideration. Exact positioning, specified by the preset packing pattern, is achieved. What makes it unique: The user no longer needs to adjust the system to changing parameters in case of a product change, saving time and money. Picture 6: For this, BEUMER Group installed a BEUMER paletpac layer palletiser. 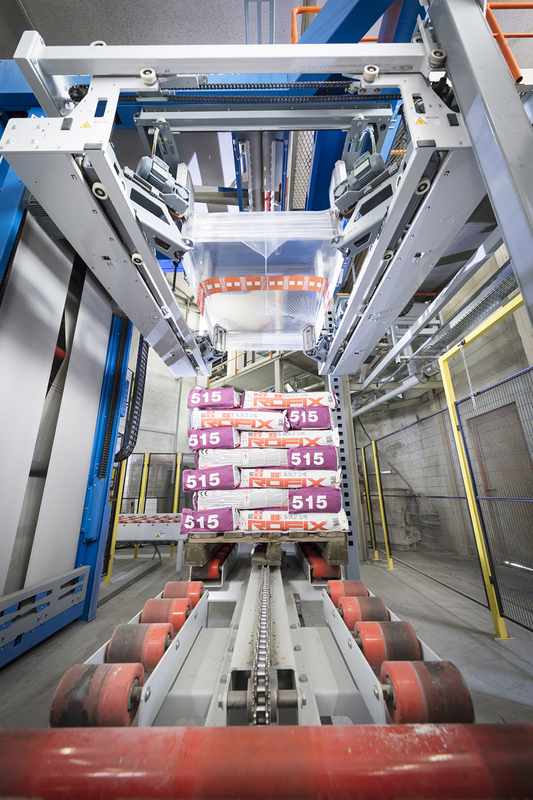 The finished bag stacks are transported over roller conveyors to the BEUMER stretch hood packaging system. “It is particularly easy and safe to use,” explains Sieleman. 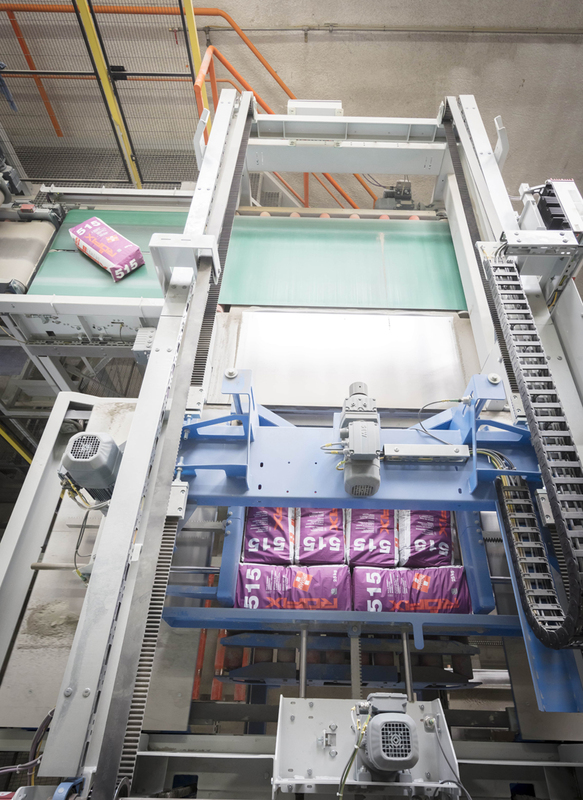 In order to facilitate the work for the maintenance personnel and to ensure high system availability, the new packaging system no longer needs a platform. Maintenance work, such as changing the blades or the sealing bars, is handled at floor level. Additional benefits include the compact design and the resulting low height and small footprint. Picture 7: The BEUMER stretch hood A places a stretch hood over the palletised products. This increases load stability. And it displays the products efficiently which means optimal brand presentation. The system supplier has equipped this line with the BEUMER Human Machine Interface, which makes it easy and simple to operate. The operators are provided with an easily understandable and intuitive interaction concept, enabling them to define the same efficient working sequences for all machines. Displays help visualise how and where to make the settings. The user can for example call up video sequences that show the changing of the film roll and the film knife. For other set-up work like the bag correction on the BEUMER paletpac, the operator panel includes graphics and step-by-step instructions. Picture 8: Masonry mortar, renderings, paints, coatings and unbonded screeds: different products are bagged, palletised and packaged quickly and reliably. Now Röfix can provide their customers with even faster delivery. At the end of the line, an employee with a fork-lift truck picks up the readily packaged pallets and delivers them to the outgoing goods, where they await pick-up. 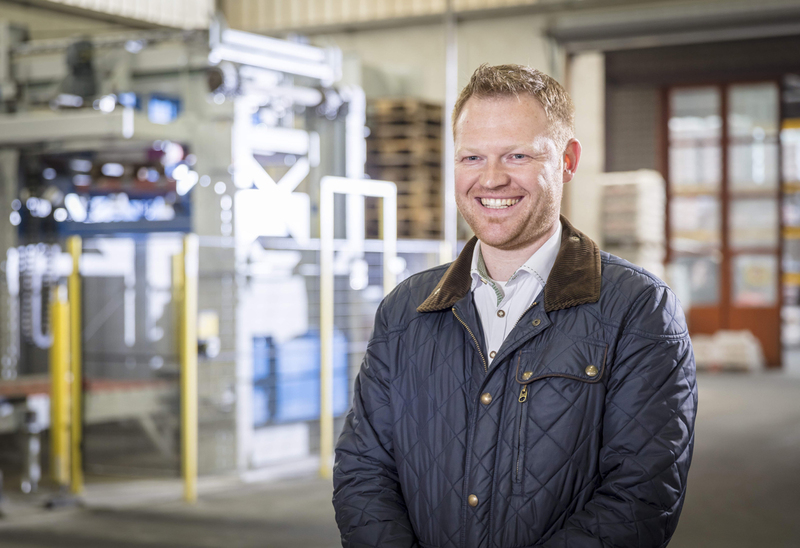 The biggest challenge for this project: “The packaging line had to be integrated into already existing buildings, spread over three different levels,” says Sielemann. Because of their experience, the BEUMER Group experts were able to master this challenge. The systems are based on solutions that the engineers can easily adapt to the constructional requirements. 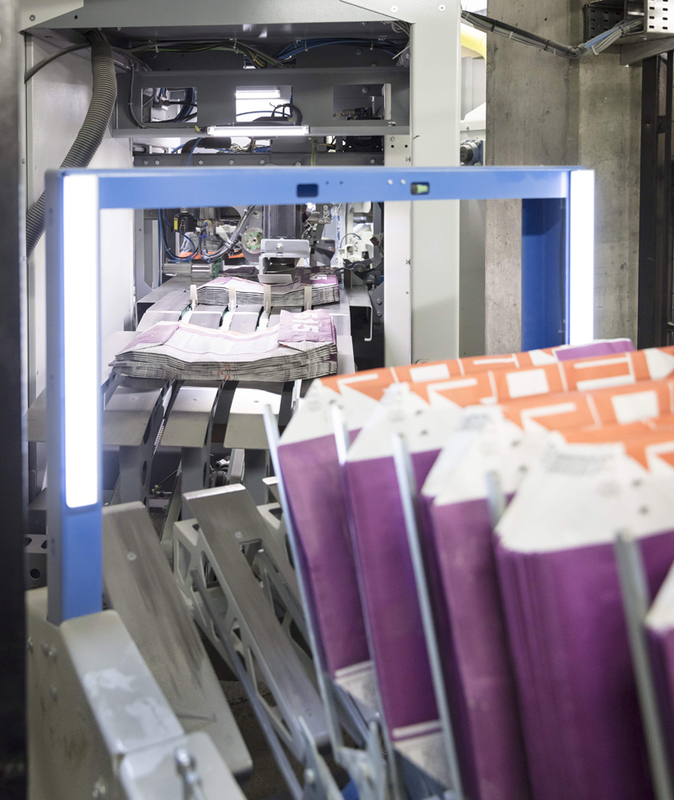 The packaging line is in operation since the second half of 2016. 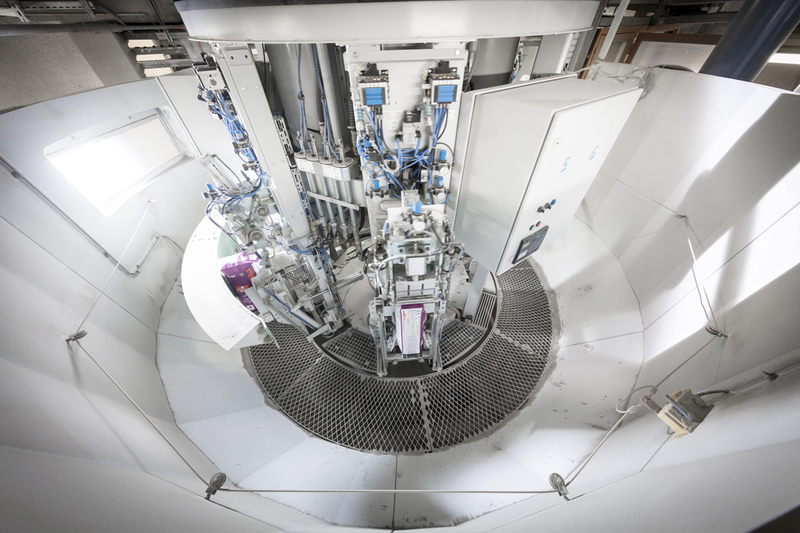 There has been no downtime since and the employees can easily accommodate product changes, exactly what Röfix wanted. Should any issues occur, the people responsible can always be sure of BEUMER Group‘s support. If necessary, BEUMER Group service employees based at the headquarters in Beckum, Germany can quickly and easily access the systems for remote maintenance and provide support. The BEUMER Group is an international leader in the manufacture of intralogistics systems for conveying, loading, palletising, packaging, sortation, and distribution. With 4,000 employees worldwide, the BEUMER Group has annual sales of about EUR 750 million. The BEUMER Group and its group companies and sales agencies provide their customers with high-quality system solutions and an extensive customer support network around the globe and across a wide range of industries, including bulk materials and piece goods, food/non-food, construction, mail order, post, and airport baggage handling.